According to Wikipedia, about half of the US makes New Years Resolutions each year. 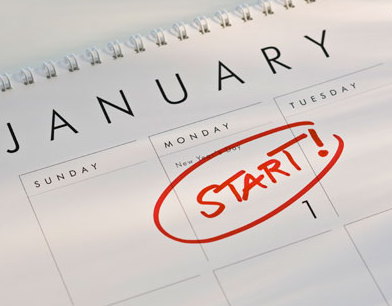 Another study of 3,000 people sampled showed that 88% of those who set New Year resolutions fail. 88%. That’s about nine people out of ten. That’s a lot of failure. The most common reason for participants failing their New Years’ Resolutions was setting themselves unrealistic goals (35%), while 33% didn’t keep track of their progress and a further 23% forgot about it. 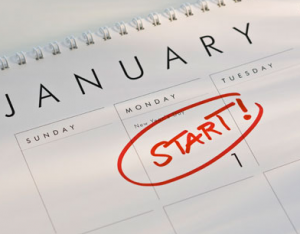 About one in 10 respondents claimed they made too many resolutions. Regardless of the breakdown, the overarching reason for failure is essentially the same – setting a goal. Wait, what? How can you have success if you don’t set a goal? Isn’t balance coaching all about setting goals and achieving them? And for that matter, isn’t all coaching just setting goals? What’s the fastest land animal? So many questions. Let me answer the questions in the order they are received – Because it’s bigger than a goal, Yes, yes I think so, and the cheetah. Seriously, a goal is an end point, a thing you can check off. It’s great for little things; for small pieces of a larger whole. It’s great as a marker, a milestone. It’s great in things that keep score, like sports, or in some cases weight loss. It’s not great in cases where you are making a life long change, or measuring less tangible things, or when considering health as a whole. If not goals then what? The key is that it’s not the goals, but the system that contains and supports the goals. Let me explain. If you set a goal, under the best of circumstances you may very well reach it. You probably won’t know why exactly you reached it, nor will you probably be able to reproduce the results for something different (or even similar). Now, I understand that there are those that just have had enough and one day they quit smoking cold turkey, never to smoke again. Or those that see themselves in pictures and freak out and lose a whole bunch of weight. “How did you do it?” a friend asks. “I don’t know, I just did because I had to,” they reply. Allow me to demonstrate the difference between setting New Years resolutions the old fashion way, and setting goals through the Alchemy For Life system. In the beginning it works because every day it’s on your mind. Every say you say “Oh yeah, no more coffee” or “Eat better” or “Eat more salad” or you join a gym, but you don’t know when you’ll go. You just try to go as often as you can. For a few days you sort of feel good, but the reality of it sinks in. You log into Alchemyfor.life. You fill out the balance sheet showing where you are putting your time, energy and resources. Not only that, but you put in where you’d like to start putting in energy – that thing or two you want to do. Then you work with the your coach (me) and we look over the sheet, fleshing things out a little, helping you to remember things to clarify, helping you to expose what you really want. Then before we do anything about goals, we start to manipulate your balance sheet – we make connections between activities, wants and needs. Suddenly you have more time, and more energy. The sheet exposes this. In glorious technicolored Monopoly-like cards which are really cool to look at. Then we start assigning goals. We together (via a video session from the comfort of your living room) come up with a goal that is directly connected to an action on the sheet. We plan what you will do to accomplish this. You can do this because now you have the time to do it, or you’re not out of energy because we pre-adjusted your schedule and your activities. The groundwork was laid. The goal is all big and colorful on your screen. There are instructions on what to do. You come back to it in the middle of the week, between sessions. You ask a question, or you make a note. The coach answers. And, the next session – bingo. Goal accomplished, big giant green checkmark. Your brain releases endorphins and says, “You did it – here’s some brain drug for you.” You continue setting goals this way (you might have more than one at a time, and most do). These are all goals that you want, not “what’s best for you,” what you really want. Moving forward you can always go back to that goal, and see that you did it. You have a tangible record that you set a goal and did it, and how. You won’t ever wonder how you did it, you’ll even see a mistep or two that you took, and will naturally avoid doing that in the future, with other goals. And that’s how you succeed at New years resolutions. We cheated. We cheated big time. We cheated because we had an entire system built around you reaching this goal and beyond. How could you not succeed? Compare that to the old fashioned way. It doesn’t stand a chance. Eighty eight schmady eight. HA.